March 28, 2018 at 12:05a.m. After years of meeting for worship in log structures with dirt floors, barns and out in the open air, a group of 14 inhabitants of the then relatively new settlement called Ellsworth decided it was time they organized their small group of believers into a church. It was 1818, and Ellsworth’s town hall had just been constructed. The building was built through private donations, so the group of worshippers — hoping to organize into a church — began meeting in the building. A pair of visiting missionaries scrutinized the group — a process by which church officials or other believers test the orthodoxy of a group before clearing them to become a church — and approved. Today, the members of Ellsworth Community Church are preparing to celebrate the 200th anniversary of that day. Though their bicentennial celebration isn’t until April 15, today is the church’s actual anniversary. Sandi Bates and Sherry Weamer are members of the church’s historical anniversary committee, which has been preparing for the bicentennial by collecting bits of the church’s history through stories, documents and photos. “We’re thrilled to be able to do this. There was a time when we didn’t know if the church would stay open, but we’ve turned a corner and things are looking better,” Weamer said. She has been a member of the church for 55 years. The April celebration will include a service featuring former ministers — including the Revs. Don Leckrone and Russ Libb — a catered dinner and a historical presentation by the committee, all in the same building that the church body first erected in 1833. 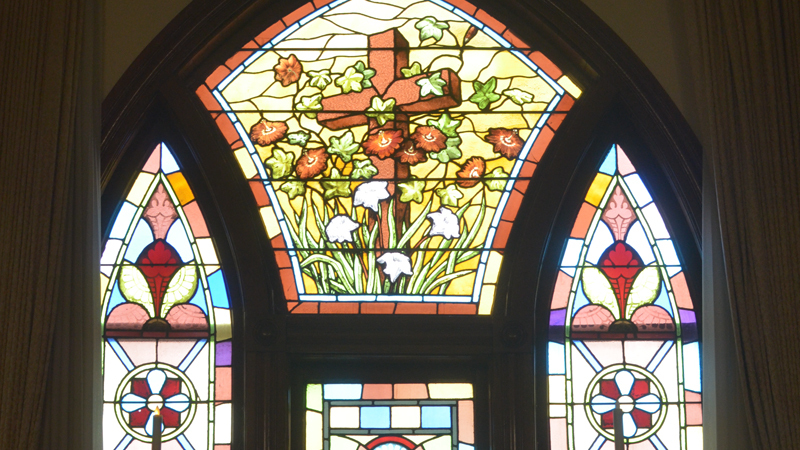 The building, which still exists as part of the church, cost $1,900 and was funded in part through the sale of slips — pews — to congregants and their families. For its first 70 years the church was entirely lit by candlelight due to a problem implementing gas lamps. It wasn’t until the advent of electric lamps in 1904 that the church modernized its lighting. In 1871, Elizabeth Coit donated the funds for an 800-pound church bell, which was hung in the building’s steeple that raised 90 feet above the ground. The original steeple was damaged by a storm in 2008, prompting the congregation to hold a “save our steeple” campaign. Though many members of the church body and other local patrons rallied and donated funds to help the church, the philanthropist Anthony Lariccia’s donation of $50,000 in 2013 was the push the Ellsworth members needed to finish their project. When they did, they discovered just how sturdy the original church had been built. “When we were replacing the damaged steeple, we found some of the original wooden supports were logs that still had the bark on them from 1818,” Bates said. With a new steeple and a growing congregation for the first time in many years — the church logged 25 new members in 2017, many coming in from Canfield — Ellsworth Community Church will begin its 200th year with plenty of reasons to look forward. February 19, 2013 12:06 a.m.